There is a lot of myth and legend surrounding the use of the best oils. Those who have been around for a long time remember when there was a need to change engine oil weights for winter and summer use. It was the viscosity that was the issue. During winter an oil thickens and can cause a slow grind when starting an engine. During summer, it is important to use an oil that has a higher viscosity to prevent separation and lack of lubrication. Back in the day of single viscosity oils, this meant that a car owner must change oils to accommodate the ambient temperature. The higher the viscosity the “thicker” the oil. Drivers trained in those days often still hold with this requirement. Fortunately, this is no longer the case. The invention of multi-viscosity oils has eliminated the need to change engine oil just for ambient temperature needs. For instance, a 10W40 oil (the W stands for winter) will be quite fine for temperatures from minus 39 degrees centigrade to 100 degrees centigrade. This is because the oil holds its viscosity throughout that temperature range. 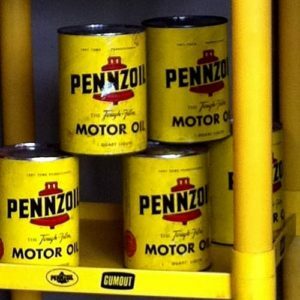 There are also the, so called, synthetic oils. These oils do not really live up to their name. Synthetic oils are natural oils that have been refined to a much higher grade than the norm with a superior additive package that gives higher performance under every day or excessive use conditions. As a result, synthetic oils are much more expensive, though their run time is nearly double what the normal engine oil allows. Under normal conditions, whether you are driving a pickup or a coupe, the regular 10W40 oils will work just fine for you. However, if you are towing for long distances, or if you have one of the more exotic engines, it would be imperative that you use a synthetic 10W40 oil This will not only enhance your performance by keeping your engine cool and the parts well lubricated, it will also take the added pressures. Turbo engines are especially in need of synthetic oils. When you stop these engines, the oil remains around the turbo oil bearings where high heat resides. Synthetic oils are the only oils that will resist being baked in such conditions. If you are in a constant stop-and-go traffic situation, then the synthetic oil will be best because of the added stresses on the engine and the higher temperatures generated. The bottom line comes down to how you are using your engine. If you are looking at a city type traffic situation, or if you are looking at towing, (especially for pickup drivers), then it is imperative to use a synthetic 10W40 oil. If not, then the oil recommended by the manufacturer will do.